Anna Bendiksen is new to the CTbites team. Anna is a former scholar of Russian literature, and a food blogger over at threecoursesonaweeknight.blogspot.com or follow her on Twitter @anna_bendiksen. When Domenico “Dom” Liuzzi talks about artisanal cheesemaking, his eyes light up. 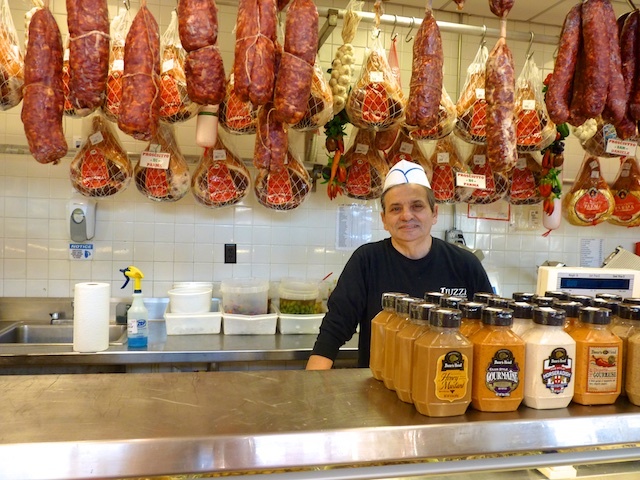 “Quality is what sets us apart from Stop and Shop,” he said in a recent conversation at Liuzzi’s Gourmet Market---not that anyone could mistake his store, which carries over 200 cheeses, for anything other than the Greater New Haven landmark it is. The cascades of Italian speech in the air, the display cases featuring Liuzzi’s own house-made cheeses, the scent of cured hams and sausages hanging overhead, the attentive staff darting about---all combine to make Liuzzi’s a prime destination for foodies from Connecticut and beyond. The cheeses for which the store is best known---the result of the family’s cheesemaking heritage stretching over a century---are its burrata (favored by Mario Batali), a caciocavallo (“cheese on horseback,” so named because it is strung in rope to drip dry), and two kinds of ricotta (whipped and large-curd). 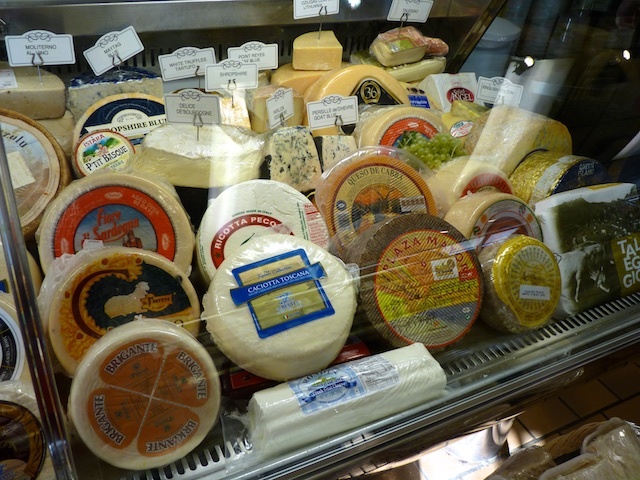 Yet the cheese offerings at Liuzzi’s, located in North Haven, don’t stop with these house-made specialties. You’ll also find imported Grana Padano (a cheese similar to Parmesan that is favored by Italian children and a standby in Lidia Bastianich’s new cookbook Mastering the Art of Italian Cuisine); Moliterno, a raw sheep’s-milk cheese exquisitely scented with black truffle paste; the best of American artisanal cheeses such as Humboldt Fog; and many more. 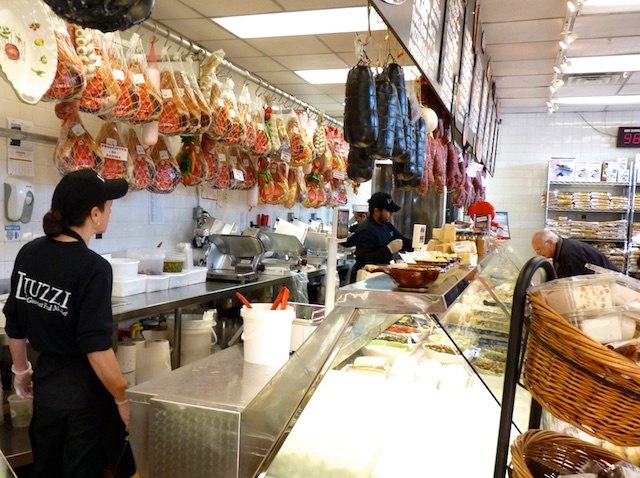 The store also features a salumeria (cured-meats section) of jaw-dropping proportions, a variety of prepared foods (Dom Liuzzi’s own favorite is the old-fashioned porchetta, braised pork shoulder, which has been on the menu for 30 years), selected breads, a butcher counter with certified Angus beef, frozen sauces and filled pastas, and a pantry section with everything from jarred white truffles to balsamic vinegar (Liuzzi’s own line is a great value at $11.99 for 12 ounces) to a full line of dry pasta. Imported plum tomatoes come in cans large and small. Easter brings ricotta pies, of course, and at Christmas, the aisles are studded with festive packages of torrone (nougat) and panettone. 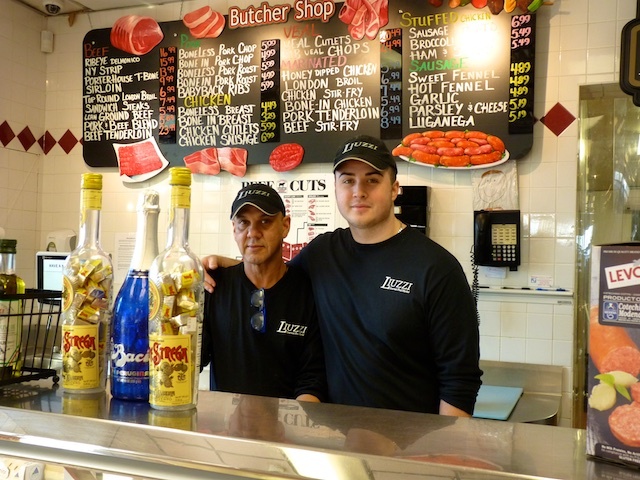 Recent controversy over the origins of olive oil may haunt other grocery-store owners, but the solid business relationships that the family has worked to build are a source of confidence for Liuzzi. The Liuzzi family’s passion for quality began in the town of Noci in the district of Bari, in Puglia, at the top of the heel of the Italian “boot.” It is in this region, according to Dom Liuzzi, that the art of making fresh mozzarella originated. 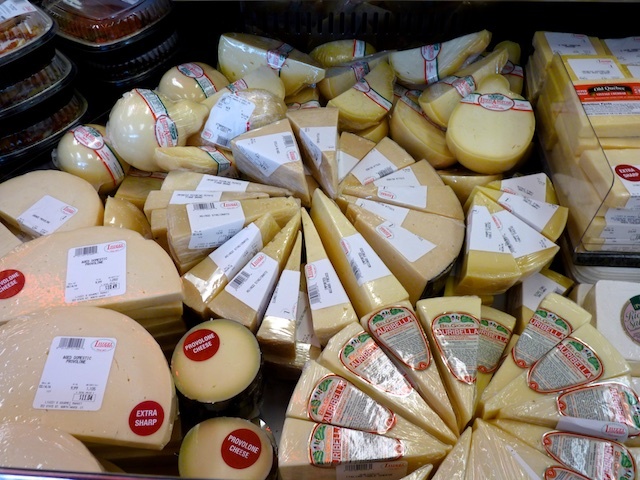 His great-great-grandfather Pasquale Liuzzi, a dairy farmer, began learning how to make cheese there as a boy on the family farm in the nineteenth century. 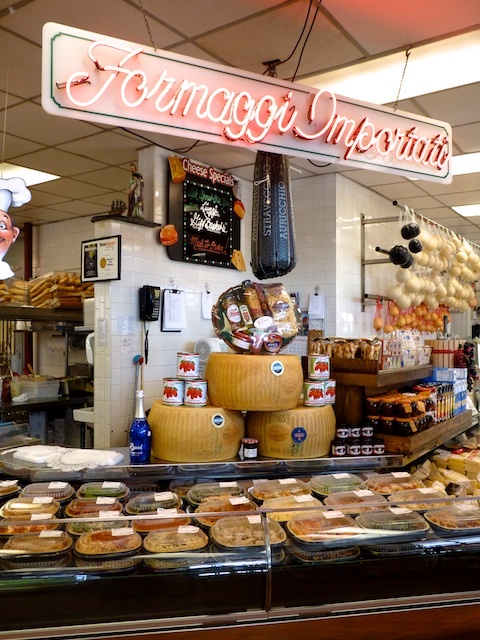 When Dom Liuzzi’s father, also named Pasquale Liuzzi, came to this country in 1962, he brought the family’s rich store of cheesemaking expertise with him. 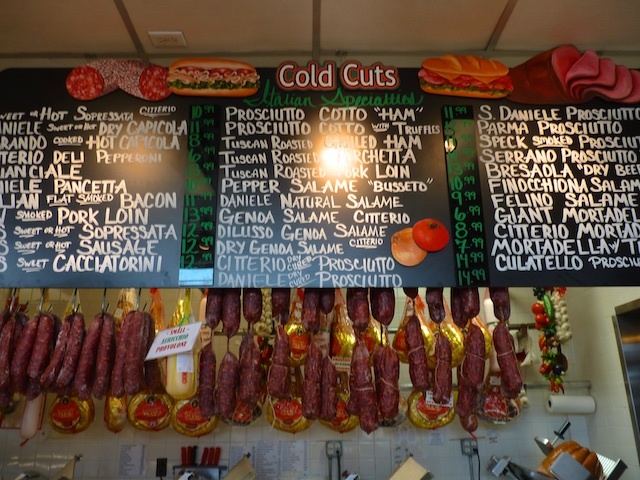 In 1981, Pasquale founded Liuzzi’s with his brother Nick.  In 2007, the business grew to encompass two divisions, retail and wholesale. Today Liuzzi’s cheeses, their milk sourced from Vermont’s St. Albans Co-op, are not only featured at Eataly, New Haven’s Tarry Lodge, and Cafe Goodfellas, but also distributed all over the country. Those lucky enough to live within driving distance---both those with Italian heritage and those with none at all---may come to the retail location in North Haven for the ingredients, but it’s the ingredients plus the educational experience that keeps them coming back. Cheese expert Louis Lenti, who has been part of Liuzzi’s almost from the beginning, helps everyone from beginners to serious cooks to step up their game. He says that he loves to learn from customers, too.